I had a big new Westeros book published last year (official publication date November 20, 2018) — FIRE & BLOOD, covering the history of the Targaryen kings from Aegon’s Conquest to the regency of Aegon III. It’s been doing rather well, thank you. Debuted at #1 on the New York Times bestseller list and is still in the top ten two months later. And just last week, we got a great review in KIRKUS, a notoriously tough journal. The question of its Hugo eligibility is… well, trickier than usual. FIRE & BLOOD is eligible, certainly. But what category does it belong in? There’s Best Novel, the “Big One” A DANCE WITH DRAGONS, A FEAST FOR CROWS, and A STORM OF SWORDS were all nominated for the Best Novel Hugo in years past (they all lost, to be sure, but never mind). In all of the promotional interviews I did leading up to the book’s release, however, I took pains to stress that FIRE & BLOOD was not a novel but rather a work of imaginary history (I used to say “fake history,” but some of my readers objected). I did not want anyone buying the book under the misapprehension that it was the latest volume in A SONG OF ICE & FIRE. After saying over and over again “this is not a novel,” it would be rather disingenuous of me to accept a Hugo (should it win, which I must admit is rather unlikely) or even a nomination in the Best Novel category. It has been pointed out to me that the publication of FIRE & BLOOD makes me eligible for nomination in the new (relatively) Best Series category. Well, yes, I suppose. It depends on one’s definition of what constitutes a series. Worldcon’s definition is considerably broader than my own, for what it’s worth. Many SF writers have set their stories against a common background or “future history,” a term originated by Heinlein and popularized by Campbell. My own Thousand Worlds stories fit that template, but I don’t consider them a series. They share a background, but that’s all; except for the Tuf stories, there are no recurring characters, and the tales are set hundreds of years and hundreds of light years apart. (The Haviland Tuf stories, a subset of my Thousand Worlds, ARE a series, as I define the term). At the other extreme, you have what I’ll call “mega-novels,” stories spread across many books because of length. Tolkien’s LORD OF THE RINGS was not a series, as I see it, but one long novel published in three volumes. Those are my definitions, however. Not worldcon’s. The Hugo rules are much looser, and would seem to include future histories, mega-novels, and true series all in the same Best Series category. 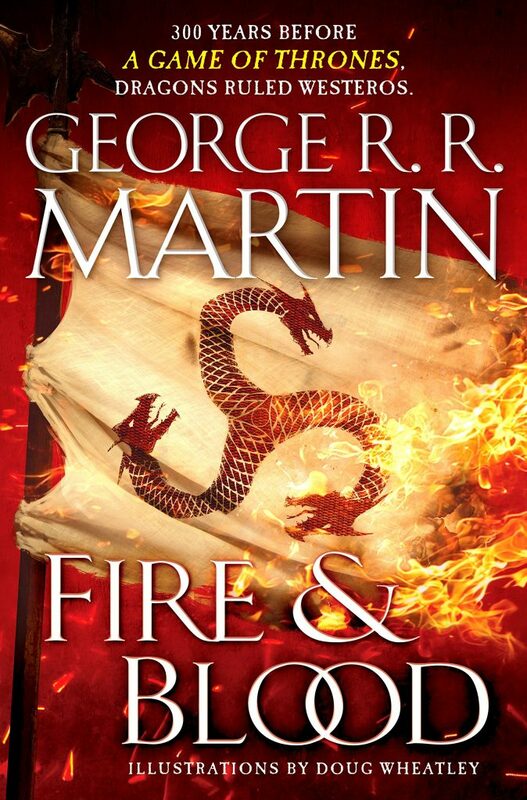 So… if not Best Novel, and not Best Series, where would FIRE & BLOOD fit on the Hugo ballot? If anywhere? My suggestion: Best Related Work. 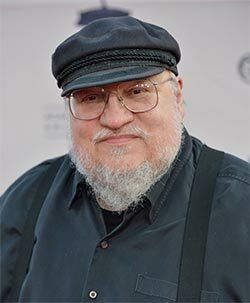 If you read and enjoyed FIRE & BLOOD and would like to nominate it for a Hugo, I would urge you to consider Related Work rather than Novel or Series. (If you haven’t read it yet, hey, you can still get autographed copies from the bookshop at the Jean Cocteau Cinema). And while I am the subject of the Best Related Work Hugo, let me make a recommendation that has nothing whatsoever to do with my own work (though my name is mentioned once, fwiw): ASTOUNDING, by Alec Nevala-Lee, an amazing and engrossing history of John W. Campbell Jr and his authors, Isaac Asimov, L. Ron Hubbard, and Robert A. Heinlein. Insightful, entertaining, and compulsively readable, it brings Campbell and his era back to life. I thought I knew a lot about Astounding, Campbell, and his authors, but Nevala-Lee goes way way deeper than any previous history I’ve read, and his book is full of stuff I never knew. Of course, I’d love to have my own book nominated (I value the Hugo more than any other award), but I suspect that ASTOUNDING will win the rocket in the end. It certainly deserves to.